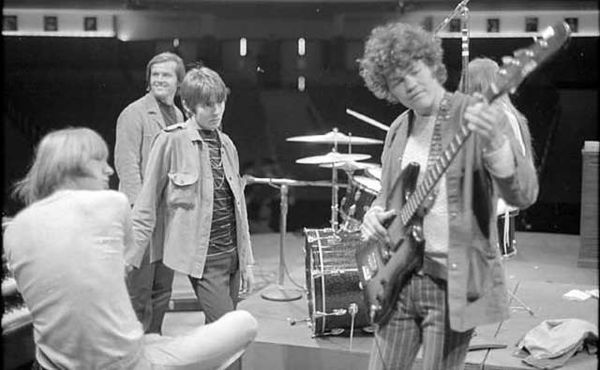 Home › 70's Cinema › RIP Peter Tork…The Monkees Celebrated The Colorful 60’s! Their Jack Nicholson “Head” Trip! 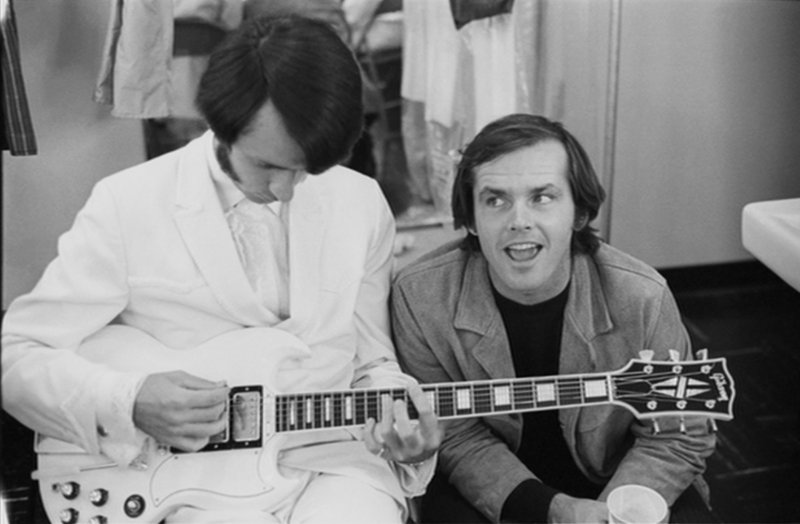 Peter Tork was the funny, goofy Monkee, but also a good Musician who continued to make music with the band and others throughout his life…here’s a look at the phenomenon that was The Monkees…and their unique creative collaboration with Jack Nicholson! 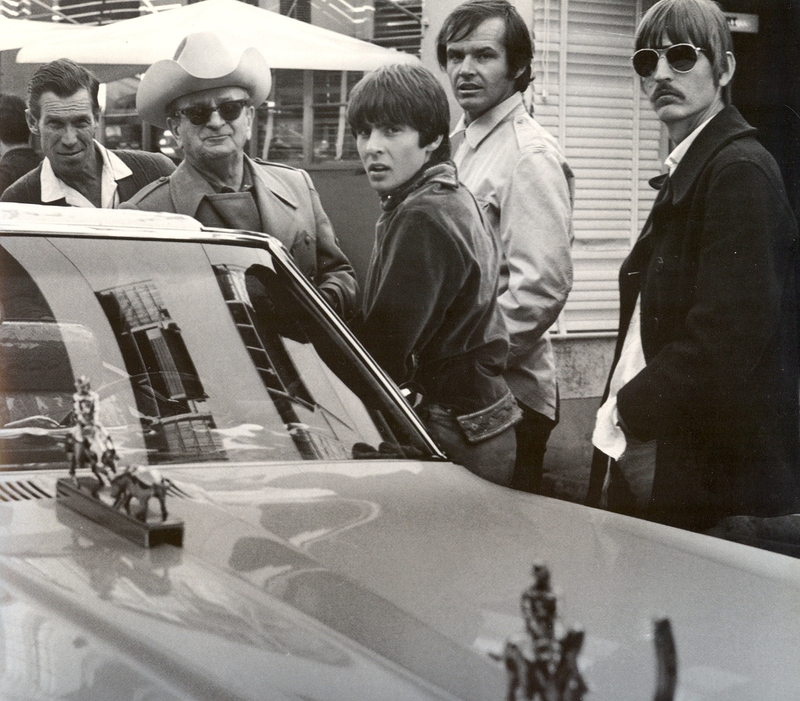 They were one of the 60’s most popular bands – and they made a movie, too – that was written by Jack Nicholson! 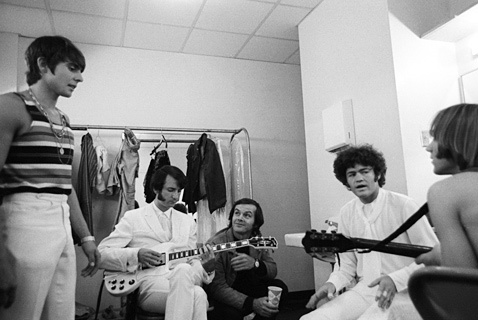 Yes, that is Jack Nicholson sitting with The Monkees – listening as they play some classic Monkee music – and saying Jack’s lines, because he wrote the quote above! 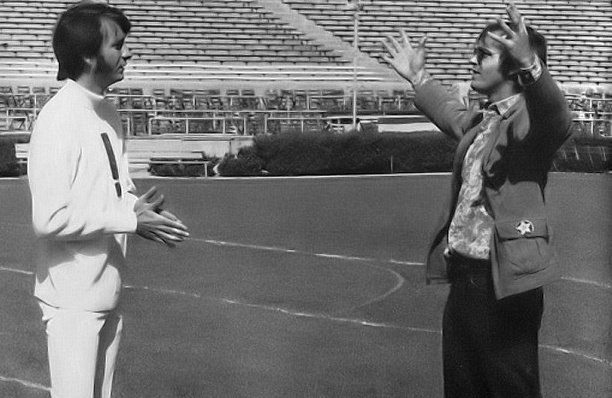 Jack Nicholson, Screenwriter For The Monkees! If you haven’t heard of this cult classic slice of pop psychedelia, check out the movie trailer! 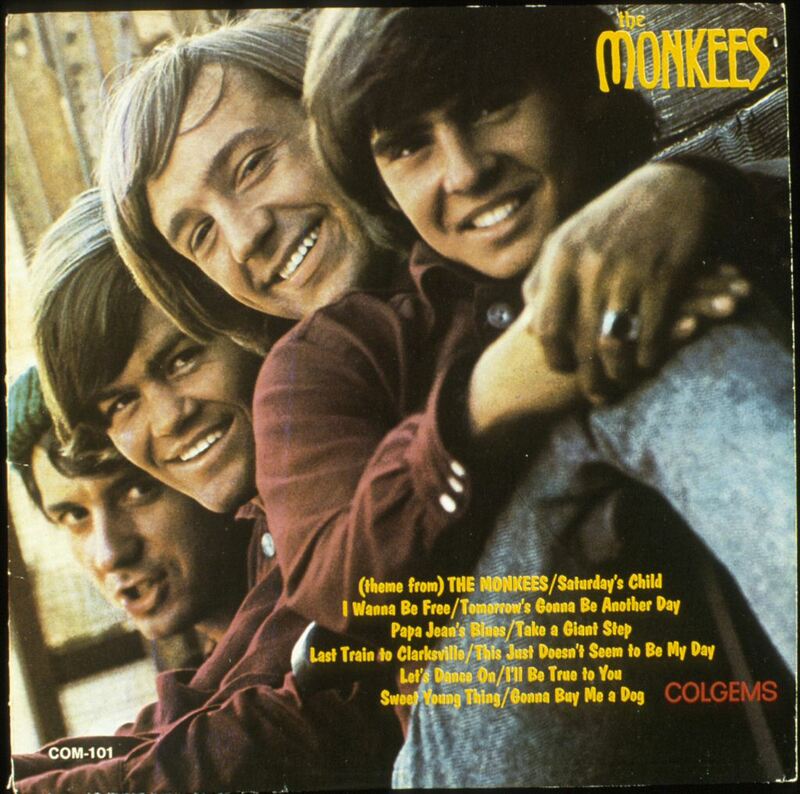 “Running in from seemingly nowhere, Micky Dolenz, Davy Jones, Michael Nesmith & Peter Tork – better known collectively as The Monkees – disrupt a bridge opening ceremony. From where and why did they come to disrupt the proceedings? They were filming a series of vignettes in several different genres, including a wild west sequence, a desert war sequence, a Confederate war sequence, and a science fiction sequence. 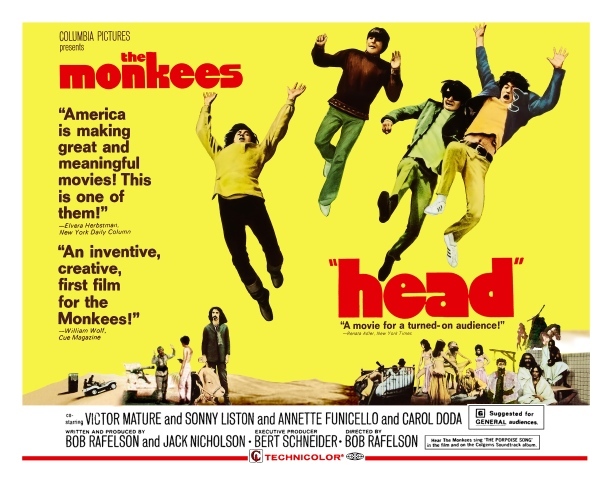 Here is some great trivia about the film: the movie’s origin was in Ojai, California, where The Monkees, producer/director Bob Rafelson and writer Jack Nicholson spent a weekend in a resort motel verbally tossing story ideas into a tape recorder. This became the script for the movie. 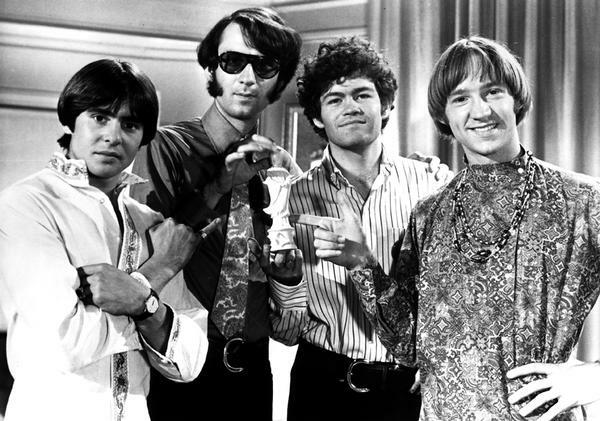 A misleading ad campaign, combined with a poorly timed release date of 6 November 1968, two months after The Monkees TV show was canceled, led to a box office disaster. According to IMDB, “Head” only grossed $16,111 in ticket sales! Cue The Special Box Set! The film is available on DVD with bonus material, and there is a huge box set with all of the film’s music, lots of outtakes, and bonus material! 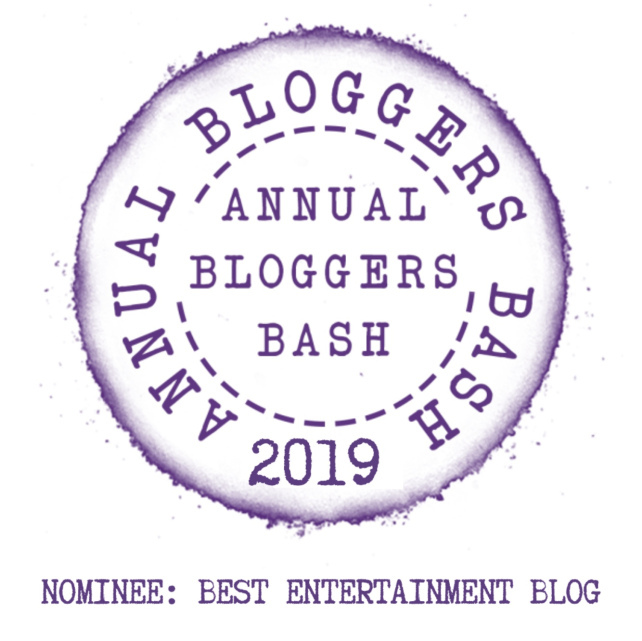 ‹ Harry Nilsson’s “Gotta Get Up”! “Russian Doll” Wakes Up To “Nilsson Schmillson” Every Day! Great New Netflix Series! Sad news. I hadn’t heard of the movie. This was on the BBC today. Such a shame. That rare cancer affected him terribly. Never a good way to die. Thanks for the comment Pete…in a way, they were “out” Beatles, albeit a manufactured one! I get that, John. I always loved Mike Nesmith’s solo work, after he left.